Recently a colleague asked, “How is everyone easily evaluating their Google Form Data?” This is when I noticed one of the “Big” differences between the old & new Google forms. The New Google Forms makes data evaluation easier both within the form and linked data collection spreadsheet. In the Forms edit mode it allows the creator to see a quick view of group summary responses. 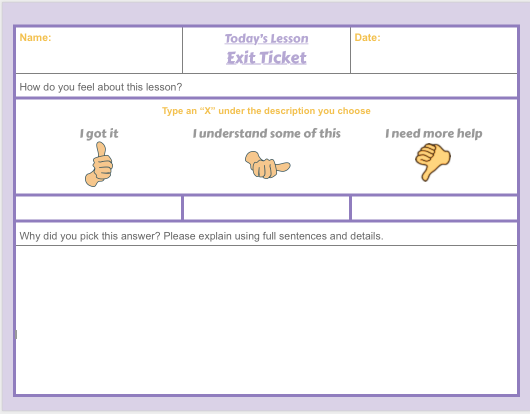 It also allows the teacher to view individual responses for further analysis. When a Teacher links the Google Form to a spreadsheet for data collection this provides the ability to view the data with a variety of graphs. The New Google Spreadsheet makes this very easy to do. All the analysis information lies under the tips of one’s fingers. The teacher simply clicks on the plus sign in the lower right hand corner of the spreadsheet. This will open a window with a variety of graphs suitable for the data collected. Thanks to both Google Forms and Spreadsheets Teachers are able to quickly access and view assessment information in ways which weren’t possible before. Teach Students Google Drive First!! !